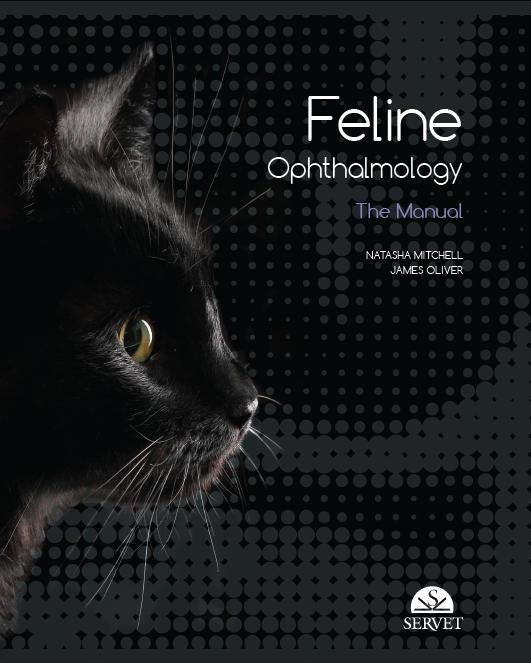 Natasha Mitchell and James Oliver have written Feline Ophthalmology – The Manual. 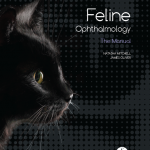 It is a semi-atlas style text encompassing all areas of clinical feline ophthalmology. The manual is intended to provide a detailed outline of feline ophthalmology for veterinary students, practitioners with an interest in feline ophthalmology and those undertaking more specialist training in veterinary ophthalmology. The newly revised BSAVA Manual of Canine and Feline Ophthalmology has just been published. It is a useful and up to date practical guide to common canine and feline ophthalmic conditions. It would be a valuable addition to any general practice as an practical manual, and would also be useful for those wishing to learn more about the field of veterinary ophthalmology. Natasha Mitchell is one of the contributing authors. Natasha is an appointed panelist for eye testing under the BVA/KC/ISDS Canine Health Schemes. The main purpose of the scheme is to ensure that there is no evidence of hereditary eye disease in dogs used for breeding. Litters under the age of 12 weeks can be tested for congenital hereditary ocular diseases. Some breeds may have an additional eye test called gonioscopy, to test for their susceptibility for glaucoma. Usually drops are applied to the eyes to dilate the pupil, so please arrive 20 minutes early for the appointment to allow for this. It is essential that the dog is microchipped, and that the original Kennel Club registration document and most recent eye tests are produced at the time. Failure to provide the paperwork will result in the test going ahead, but the paperwork will be withheld until the required documentation is forwarded. Appointments are available in Limerick, and also once monthly in Cork and in Galway, and these appointments should be booked directly with the clinic. The BSAVA Manual of Feline Practice: A Foundation Manual has been published. It is a very visual manual covering all aspects of feline veterinary care, with contributors from all over the globe. Natasha contributed the ophthalmology content. Today we have given a fresh new look to the website. We hope that you like it and find it easy to navigate. If you have suggestions for content that you would find useful, please let me know on the contact form. Thank you. She will also participate in a round-table discussion with colleagues. A talk is being given to the Galway Veterinary Clinical Society on September 27th, entitled ‘Common ocular emergencies in small animals and horses’. Members of the clinical society can attend, and new members are always welcome. A wetlab is being given on 20th September, titled ‘Getting to grips with the eye exam – a practical approach for the busy vet’. It is sponsored by MSD and is in conjunction with Skillnet.